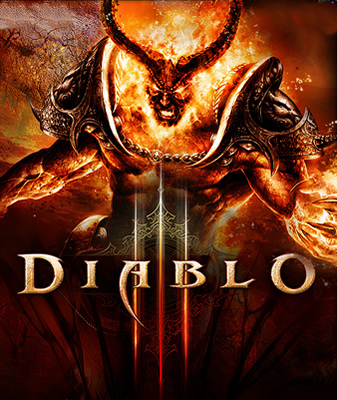 Despite a number of server-related issues surrounding the launch of Diablo III and the general displeasure of the “always-online” model, the title has become the fastest-selling PC game ever. Blizzard sold 3.5 million copies of the game within the first 24 hours of its release. Additionally, Blizzard handed out 1.2 million copies to people that signed up for the World of Warcraft Annual Pass. Gamers were guaranteed a free copy of the game on launch day when signing up for a 12-month WoW subscription. And since the launch, another 1.6 million games have been sold for a total of 6.3 million copies out in the wild. As one might expect, both Amazon and GameStop have said that the title was one of their biggest PC launches ever. This figure doesn’t include success from Internet gaming rooms. The Verge points out that nearly 40 percent of gamers in Korea are playing Diablo III. "We're definitely thrilled that so many people around the world were excited to pick up their copy of Diablo 3 and jump in the moment it went live," said Mike Morhaime, CEO and cofounder of Blizzard Entertainment. "We also regret that our preparations were not enough to ensure everyone had a seamless experience when they did so. I want to reaffirm our commitment to make sure the millions of Diablo 3 players out there have a great experience with the game moving forward, and I also want to thank them for their ongoing support." Diablo III’s early success wasn’t a huge surprise as the developer revealed earlier this month that it had become the most pre-ordered Blizzard game in history. Blizzard hosted a closed beta for several months and even made a small section of the game available for anyone to try roughly a month before the official launch to load test the servers. It seems that these preparations weren't enough as launch day problems have been well documented.